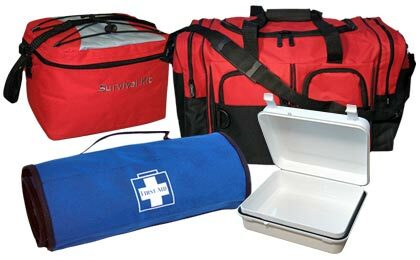 Build Your Own Emergency Survival Kits, First Aid, EMT Responder Kits or Survival Food Storage with this selection of quality storage containers, duffle bags and totes. Keeping your emergency supplies dry, safe and ready to use is a cinch with our wide selection of storage equipment. From totes for food and water supplies to bugout bags and duffle bags, Fire Supply Depot has the storage system for all your prepping needs.